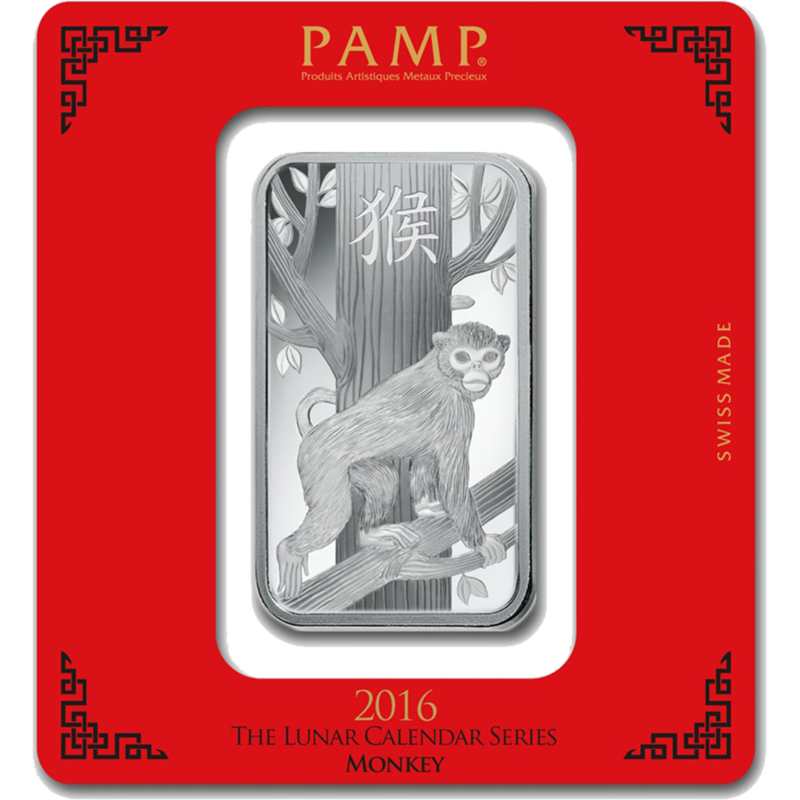 The PAMP 2016 Lunar Monkey 100g Silver Bar celebrates the Chinese Lunar year of the monkey. 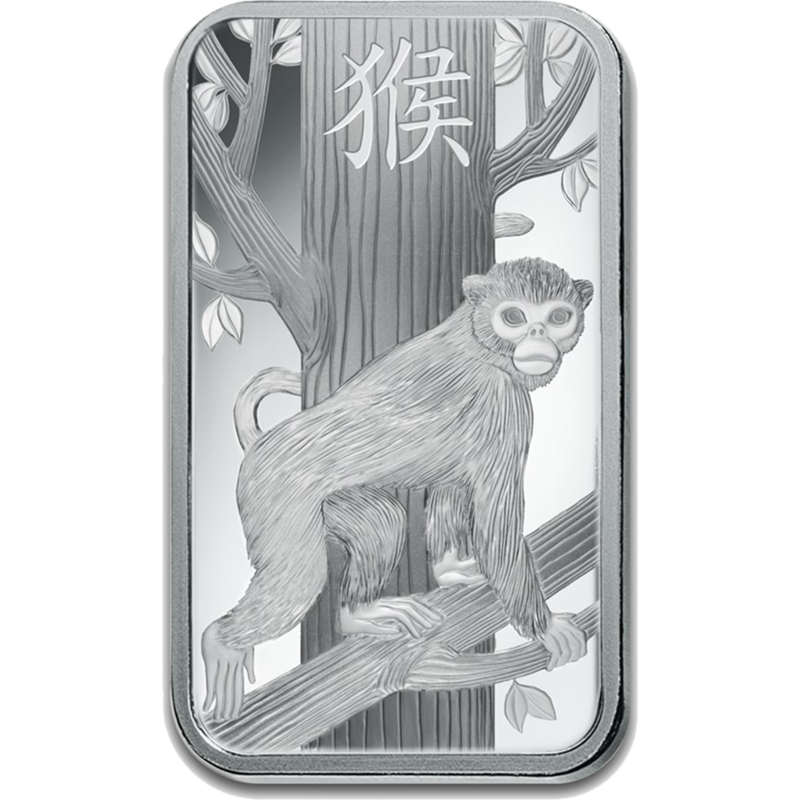 The bars obverse features the image of a monkey perched on a branch. 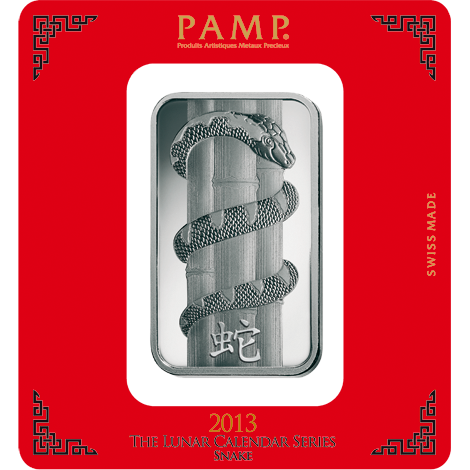 Stamped above the image is the Chinese symbol for 'Monkey'. The reverse of the bar shows the back of the same image. 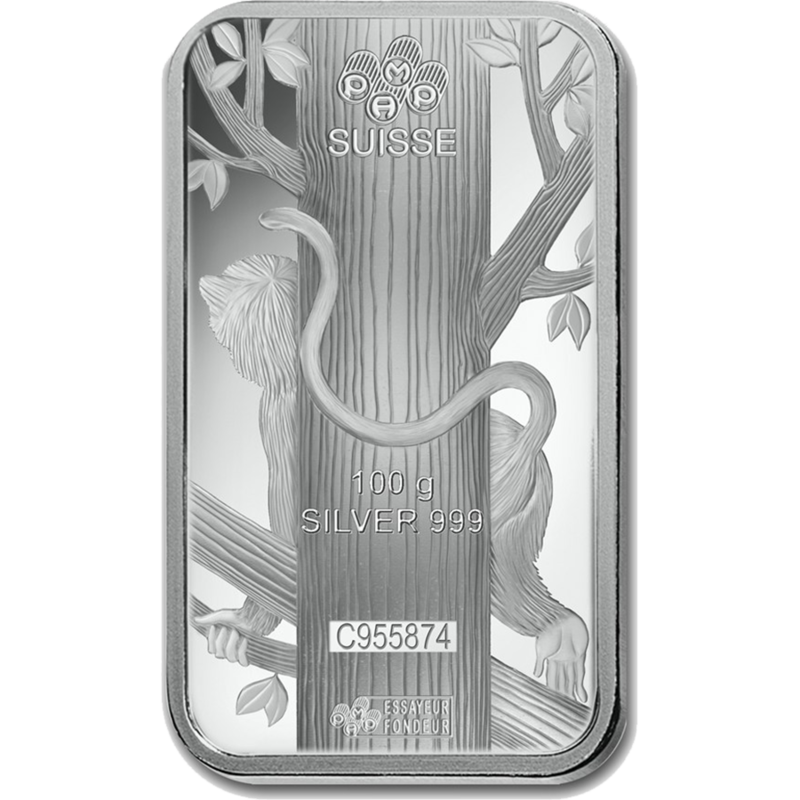 Also detailed on the reverse of the bar is the weight and purity and the unique serial number. 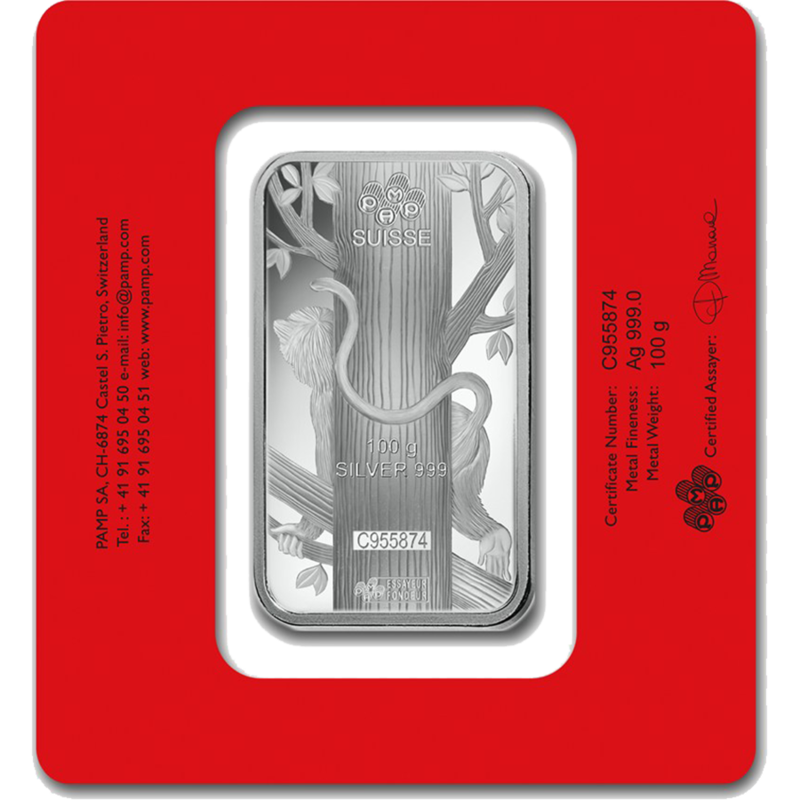 Each bar weighs 100g of 999.0 Fine Silver. 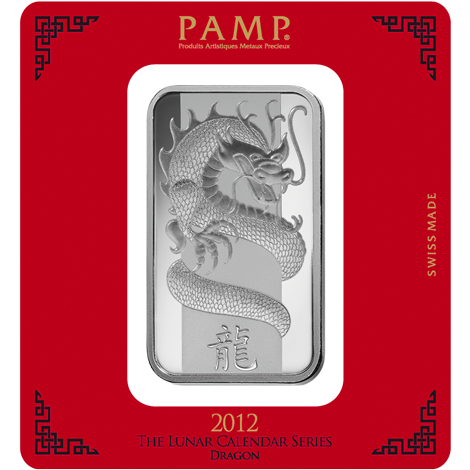 Dimensions: Length: 60 x Width: 35 x Thickness: 4.53mm. The Monkey is the ninth animal in the 12-year cycle of the Chinese zodiac. 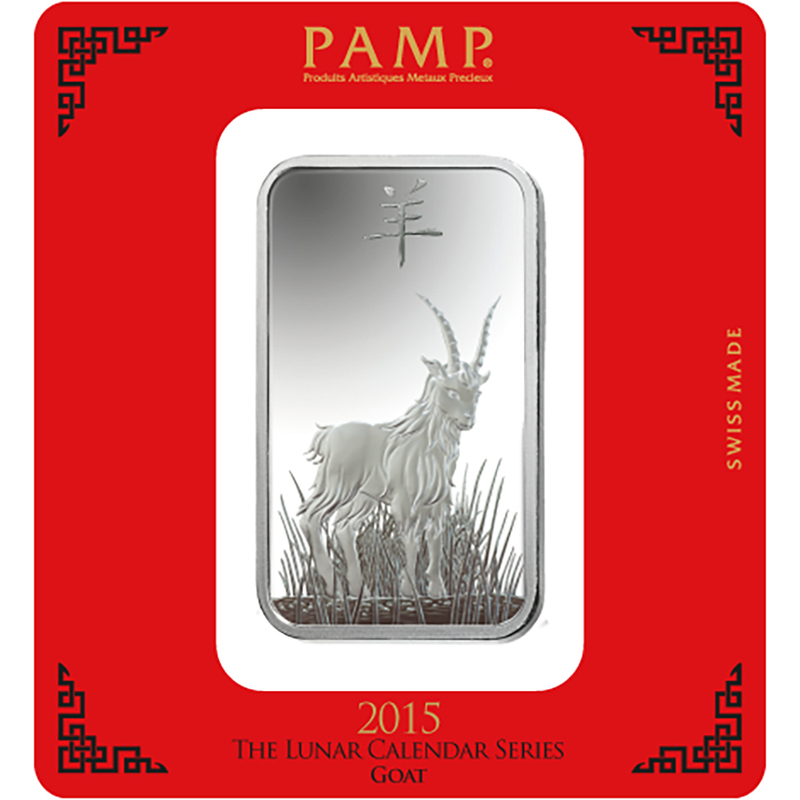 The Chinese New Year 2016 will be celebrated on February 8th, 2016 celebrates the year of the Monkey. Year of the Monkey also applies to those born in 1932, 1944, 1956, 1968, 1980, 1992 and 2004. In Chinese culture, those who are born under the influence of this sign are said to be intelligent, quick-witted, optimistic, ambitious and adventurous. The Chinese zodiac for year of the Monkey will run between 08.02.2016 and 27.02.2017. Although Chinese New Year is celebrated on February 19th, the zodiac year begins on February 8th, due to the lunar cycle. 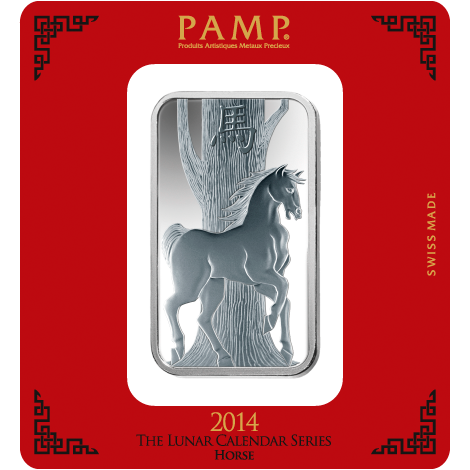 The Chinese New Year is marked by a new moon, this usually falls on the second new moon after the winter solstice.